I didn’t have gold shoes, and I didn’t have time to go shopping, but I thought I could just spray-paint some heels I owned that I never really wore. I spray-painted them and tried them out for three hours at church where they held up perfectly. I felt pretty good about myself. “Suckers who buy gold shoes when they could just spray-paint them,” I thought, congratulating myself for my frugality and my foresight for testing them out. As moms, we improvise. We get along. We make things word. 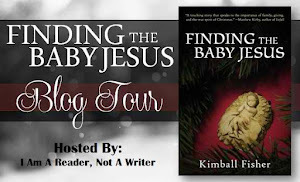 And we make a lot of things up as we go along because, let’s face it, no manual is ever going to cover all the bases a real mom needs to touch. But if laughter and perspective and a renewed energy to face the day are what you’re after—if you too are a “real mom”—this is the book for you! What I love about this book is how straight forward she addresses moms. She speaks to the reader as if they are having a conversation, not like she is trying to instruct them. She has rants and side rants, which made me feel like I was listening to a friend discuss motherhood with me! The section about how mom's spend their time hit home to me and it was like a light bulb went on in my head! Why do people want mothers to justify how they spend their time? I feel like any mother can relate to this book! I was saying in my head, "yeah" and "uh-huh" and things of that nature while I read! 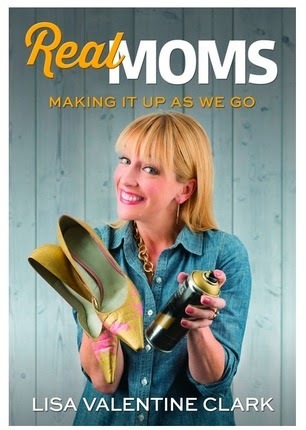 A fun read that all moms can relate to, this is a must have for all moms! LISA VALENTINE CLARK graduated with a B.S. in English from Brigham Young University. She was part of the sketch/comedy troupe "The Garrens" in Provo from 1995 to 2000, and co-founded the theater-as-improv troupe "The Thrillionaires." She has done a variety of voiceover and acting work in independent features, including "Gracie" in the award-winning webseries Pretty Darn Funny," which she also writes and produces. Lisa spends most of her time in Provo with her husband, Christopher Clark. They are the parents of five children who seem to make up a unique comedy troupe all their own. 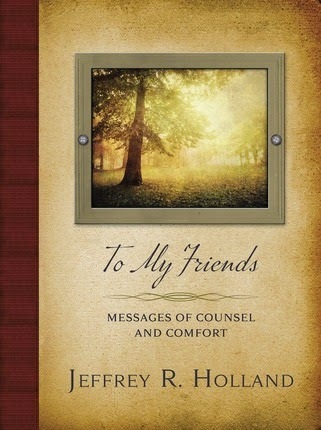 This is a lovely hardbound collection of the best of Elder Jeffery R, Holland's talks! I was impressed with how nice the actual book looks. It is a beautiful with a color picture and quote at the beginning of each chapter/talk. That is my favorite part, the beautiful picture with an uplifting quote to ponder. Elder Holland is known for being very direct and straight forward and that is what I love about him. This would make a lovely gift for anyone who enjoys his talks and who doesn't love his talks? If you want the best of Elder Holland's talks all in one spot where you don't have to go searching, then this is definitely the book for you! 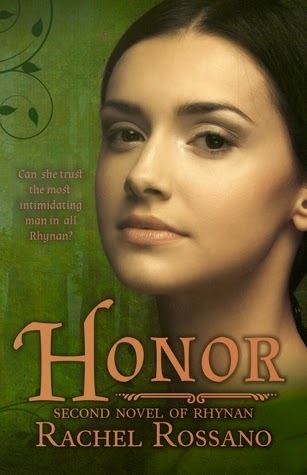 Honor by Rachel Rossano! 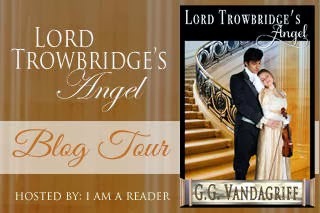 Have you checked out this series yet? Now she spends her days being a wife, mother, teacher, and household manager. 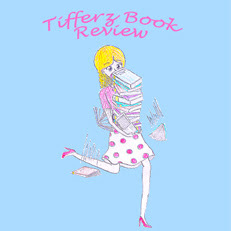 Her evenings and free moments are devoted to her other loves, writing and book cover design. Drawing on a lifelong love of reading and history, she spends hours creating historical feeling fantasy worlds and populating them with characters who live and breathe on the page. This tiny but mighty book is full of positive and uplifting thoughts on our sisterhood as women. 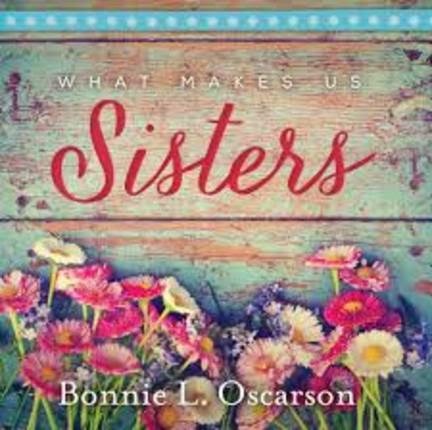 Full of beautiful quotes by Sister Oscarson, this is the perfect book to have lying around so you can have a quick pick-me-up when you need one! Every part of the book is positive and full of hope! I love how she encourages us to embrace our differences and to lift each other up. Whether we are old or young, we need each other and can learn from one another! A powerful message that is sorely needed in today's world, What Makes Us Sisters will inspire you! BONNIE L. OSCARSON was born in Salt Lake City, Utah. She attended Brigham Young University as a young adult and returned thirty-five years later to complete a bachelor's degree. She married Paul Oscarson in 1969 and served with his as he presided over a mission and later a temple, both in Sweden. Sister Oscarson was sustained as the general president of the Young Women in April 2013. She and her husband are the parents of seven and grandparents of twenty-seven. STELLA was born to sing. Someday Broadway. But everything changed when a tragic accident renders her deaf; she cannot hear, much less sing. Trapped in a strange new world of total silence, she must face not only the loss of her friends, her hopes, and her voice but also the loss of her identity and her life's purpose. Who is she is she's not a singer? HAYDEN is a quiet loner, an outcast, and the only person Stella can communicate with; his profound stutter makes him speak so slowly, she is able to easily read his lips. As they find new ways to communicate despite their disabilities, their friendship grows into an unexpected—but welcome—romance. But is it a romance that can last if Stella regains her hearing and resumes her former life? 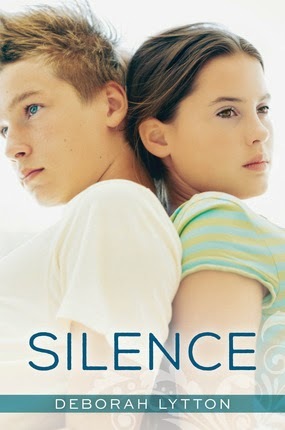 Alternating between Stella's and Hayden's points of view, Silence is a lyrical story of self-discovery, romance, and resilience, of two souls learning how to find their voices and break through the silence. To sum this book up in two simple words: beautifully poetic. I was entranced by Stella's story from the first chapter and my attention remained fixated on it until the very end. She took a tragedy in her life and with the help of Hayden she turned it in a triumph. He helped her see the world in a new way, a new light, from a new perspective. I loved the underlying theme of hope...no matter what circumstances you find yourself in, there is always hope. Told from the perspective of Stella and Hayden, the reader is able to understand the journey of healing for both Stella and Hayden. A beautiful sweet young romance, this story of tragedy turned triumph will change your outlook on your own life and have you appreciating life. This beautifully poetic tale is one I will not soon forget and that I would recommend to any reader. It is poignant and will leave you pondering what in your life is really important. Klassen is extraordinary in her storytelling abilities. This is my first book I have read by Klassen and she sets up the scenery and the characters beautifully. I could see in my mind Julia, Alec, Walter, Aurora, James, Patience, the Weston brothers, everyone! I honestly felt like I knew all there was to know about them and the town of Beaworthy when I was done reading! But that was not all! Klassen tells a tale like no other before her! The secrets and lies buried in this story are eye-opening and shocking to say the least! Put all of that aside and it is the message of this book that I love. Forgiveness, healing. learning to trust and love...Klassen lets the reader feel and understand what he Julia, Alec and even Amelia are going through. 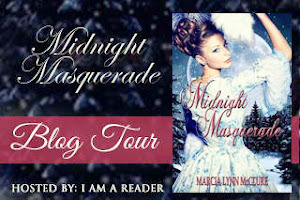 An unforgettable journey into the town of Beaworthy that I will not soon forget, The Dancing Master is a must-read for any regency fan! David hates practicing piano. He's frustrated by how hard it is and all the mistakes he makes. With his mom's help, he comes to understand how that's all part of the learning process. She also uses the moment to help David comprehend more about the Atonement: Christ has paid the price so that we can learn and improve. We aren't earning our way to heaven—we're practicing for it, and Christ is willing to help us every step of the way. 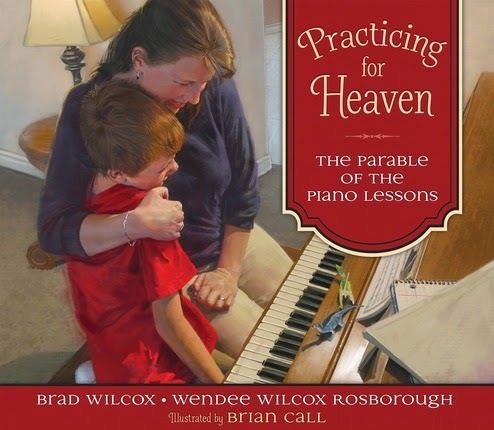 Practicing for Heaven also includes teachings tips for parents who wish to teach children of all ages about the Savior's Atonement and grace. This beautifully illustrated book is captivating and the story that unfolds is beautiful itself. Many mothers can relate to their children not wanting to practice an instrument, whether it is the piano or something else. The mother in this story takes an ordinary conversation about her son not wanting to practice and turns it into an illustration about the Atonement in a way that her son can understand it. She asks questions and guides him to understand more about it. I think all mothers would like to be able to explain gospel principles to their children through simple life lessons like practicing the piano. I love this book and look forward sharing it in an upcoming family home evening lesson. BRAD WILCOX has lived in Ethiopia, Chile, and New Zealand; he and his family now make their home amid the Rocky Mountains. Brad taught sixth grade before obtaining his PhD in education from the University of Wyoming. His contributions as an author and teacher have been honored by the Geraldine R. Dodge Foundation, and his work has appeared in Guideposts magazine and Reader's Digest. He once served as a member of the National Executive Board of the Boy Scouts of America and has addressed thousands of youth and adults across the United State, Europe, Australia, and Japan. He and his wife, Debi, are the parents of four children. WENDEE WILCOX ROSBOROUGH graduated from BYU with a BS in Home and Family Living. She once served on the planning committee for BYU Women's Conference and has also spoken there with her father, Brad Wilcox. She lives with her husband and two boys in Provo, Utah, and loves to read, write, travel, and play the piano when her sons allow her a few spare moments. BRIAN CALL studied illustration at Ricks College and BYU. His illustrations have graced the Ensign and Friend magazines, as well as the children's books Illustrated Book of Mormon Stories and Illustrated Bible Stories for Latter-day Saints. Brian currently teaches in the art department at BYU-Idaho. He lives in Ammon, Idaho, with his wife and six children. Brian's children play the piano beautifully, but he never could put down his paper and pencils long enough to practice. 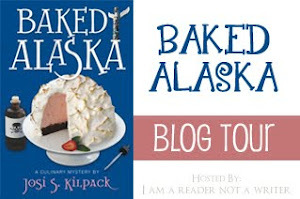 The Wife Maker by Karey White, Blog Tour, Review & Giveaway! Charlotte has spent years as the husband maker, sending every guy she dates off to enjoy marital bliss with the next girl he dates. But things have now changed, and she's determined to use her husband-maker abilities one last time--on herself. And she finally knows exactly who she wants. Angus has loved Charlotte since they were teenagers, but he's tired of waiting for her to realize how good they could be. She's broken his heart one too many times, and it's time to move on with his life. Maybe a position halfway across the country will be just what he needs to get over her. But when Charlotte won't let him go without a fight, Angus has to decide if he's willing to let her in again or if she's too late. 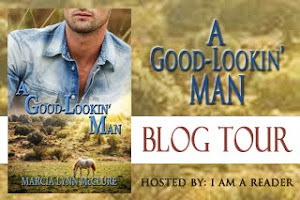 I have been waiting with much anticipation for this final book in the husband maker series. There were so many questions I wanted answered! I was shocked at a lot of what went on and surprised by the rest of it! What courage and tenacity Charlotte had! She really stuck to her guns! And Angus, man I was so mad I just wanted to punch him! All of that is what made this such a great book because I felt so strongly about the characters! White brings you straight into Charlotte and Angus' world with all of its ups and downs! Ultimately I loved this entire series! If you haven't read it I suggest you start with book one and don't stop until you are done with book three! Book Description:One of the few titles for adults on the Easter holiday, this beautiful gift book tells the story of Jesus from Crucifixion to Resurrection in short chapters, illustrated with line art, told in the first-person narrative of seven disciples. Each section offers the author's commentary on the lessons learned from each disciple and suggests simple traditions to follow to remember how implementing the teachings of the Easter holiday can vastly enrich your life today. 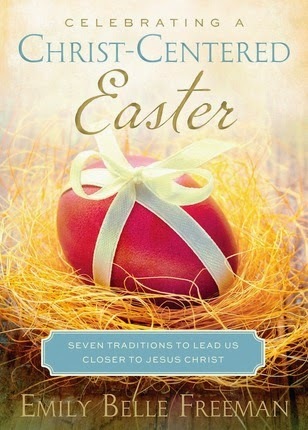 I love this small yet powerful book about making Christ the center of our Easter celebration! It inspired me to want to celebrate this high holiday with more meaning and purpose than I have years past. Freeman has set up suggested lessons at the end of each chapter that you can easily adapt to your own family to make this Easter focused more on our Savior. I loved the stories, the scriptures she shared, and the ideas to incorporate within your own family. When I finished reading I was inspired to celebrate this high and holy holiday with all of the honor and reverence it deserves. Anyone who reads this book will walk away focused more on Christ and serving others this Easter. Thank you Emily Freeman for sharing your love of the Savior with the world! The life of the Savior is portrayed in stunning fine art pieces by award-winning artist J. Kirk Richards. These striking new images were created by the artist exclusively for this book. Accompanied by a harmonized account of the Savior's ministry, Atonement, and Resurrection, these exquisite paintings reflect a deep reverence for Christ's mission and sacrifice. Each page is beautifully designed to complement the unique style of the artist. A perfect reminder of the true reason we celebrate the Easter season, this handsome volume will be treasured by the entire family for years to come. 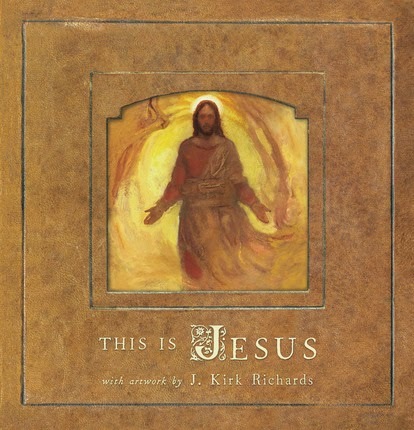 J. Kirk Richards has illustrated this book beautifully and it is set to New Testament scriptures telling the account of the end of Christ's life and his resurrection. What I really enjoyed was reading the scripture and then looking at the illustration and seeing that scene depicted. If you enjoy artwork, this book about our Savior is a must have for your home! Figurative artist J. Kirk Richards is known for his accomplishments as a painter of Judeo-Christian subject matter. While not all of his work is overtly religious, the majority of his themes stem from spiritual ideas and narratives. His paintings exhibit a love for the human figure, use of symbolism, and an emphasis on lyric composition. His original paintings can be found in private and public collections across the country. 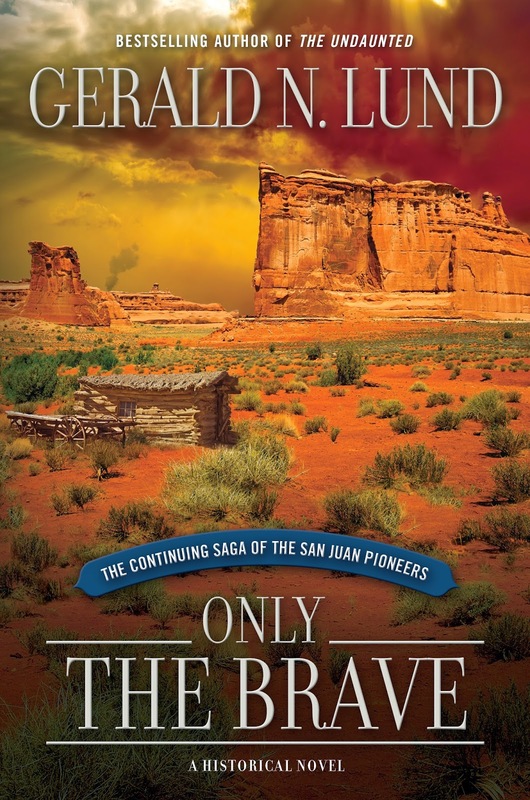 As this standalone sequel to The Undaunted begins, four years have passed since the first Mormon pioneers made the harrowing journey to carve the Hole-in-the-Rock trail to the region of the San Juan River in southeastern Utah. In that time, the settlers have dug in deep to try to establish roots in this untamed and unforgiving desert, but life is still far from easy. Biting winds, devastating floods, scorching heat, barren terrain, and tensions with everyone from Indians to outlaws to competing ranchers have threatened the pioneers' ability to thrive—or even survive. I wasn't sure how this stand alone sequel would pan out when I realized that the main characters would be different! I mean, how could this be? I should have never doubted Lund! I came to love the Westland family as they made their journey to the ravaged San Juan Valley. I rooted for Mitch in each endeavor he pursued! I was cheering for Edie and Mitch to fall in love! And beside all of that I felt the heart pounding fear every time there was an encounter with a native! I am once again amazed at Lund's gift for telling a story that pulls on your heart strings and makes you feel like you are a part of these people's lives! Bravo and I am so excited and his new endeavor to transport these characters into his new series! Devastated by the loss of her brother, Natasha Senecot works to expose the dangers of Matthew Chrysler’s violent video games, succeeding in bankrupting and humiliating him. Chrysler retaliates and sends a hit man after her. Natasha is forced to fake her own death to protect her children, but after witnessing another tragedy, Natasha won’t hide any longer. What a whirlwind of a story that Checketts took me on! From chapter one the action and suspense began and they literally did not stop until the very end! 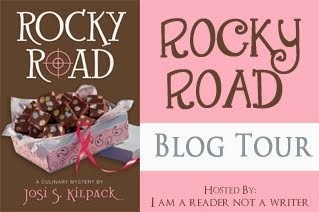 If you like romantic thrillers you will LOVE Blog This! 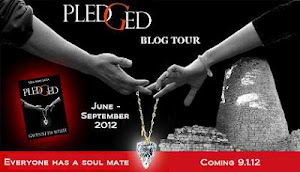 If is captivating and the suspense and fear had me on the edge of my proverbial seat the entire book! I was amazed by Natasha's strength yet surprised by her willingness to forget what she was risking at times. 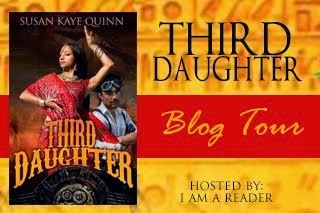 I loved all the supporting characters, they each had distinct and vibrant personalities! 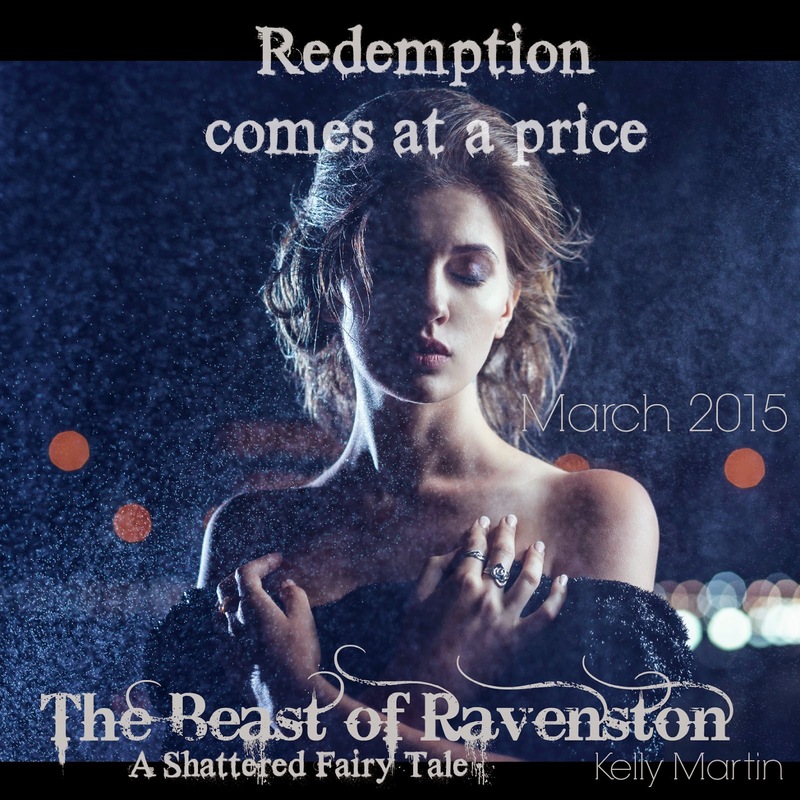 Release Day for The Beast of Ravenston by Kelly Martin!!!! 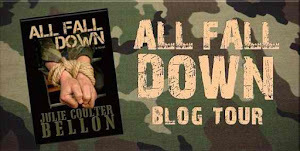 Cover Reveal for Falling Slowly by Julie Coulter Bellon! 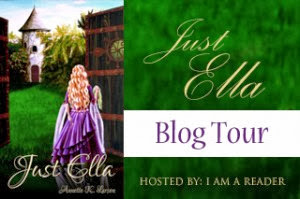 Welcome Julie Coulter Bellon! 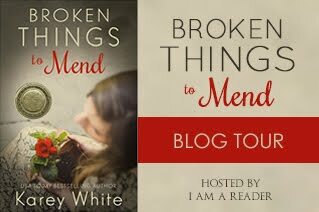 I am so excited for you to share your cover for your new novella!!!! I am so excited to show you the cover for my new novella, Falling Slowly. This one is a companion novella to All Fall Down and tells what happens to Claire and Rafe when they come home from Afghanistan. 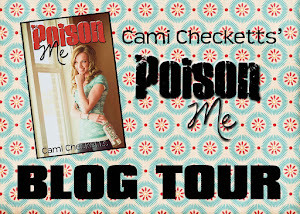 To celebrate cover reveal day, I am offering you a giveaway! Since Claire and Rafe are dating and getting to know each other in this novella, I want to know---what do you consider to be a romantic date? Is it a candlelight dinner? A hike? A bike ride? A movie? Star-gazing? A moonlit stroll? Tell me your ideas! Everyone who comments with their idea of a romantic date will be entered to win an ebook copy of BOTH All Fall Down AND Falling Slowly. Rafe Kelly never thought he’d fall in love with Claire Michaels, the hostage negotiator sent to get him out of a life or death situation. 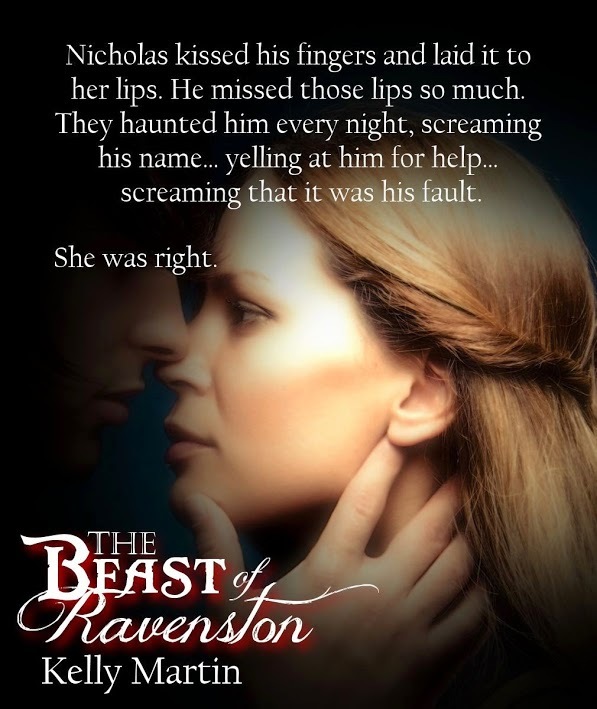 Though it was easy to see from the beginning that Claire was good at her profession, Rafe quickly realized she was even better for him personally―and that they might have a future together. Lund is a master storyteller and Fire and Steel is another example of his prowess. 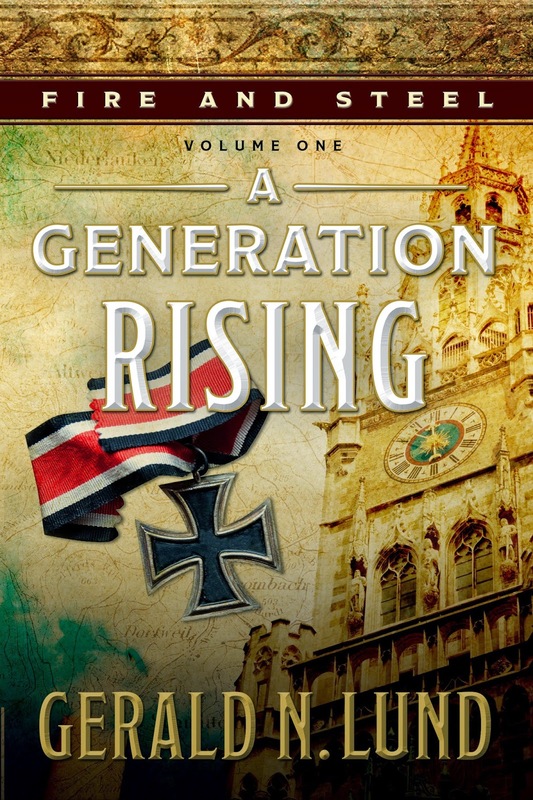 He seamlessly blends historical facts with realistic characters that become lifelike to the the reader. I am not typically a fan of stories based during wars but this book is an absolute exception. Lund is a master researcher with notes at the end of each chapter explaining what actually occurred and what was fiction. He adds emotional elements that tug at your heart strings and make you feel like a part of the families in the book. This series is going to be amazing and I eagerly await the next book! Elder Gerald N. Lund received his B.A. and M.S. degrees in sociology from Brigham Young University. He served for thirty-five years in the Church Educational System, and he served as a member of the Second Quorum of the Seventy from 2002 to 2008. He is a prolific and bestselling author of both fiction and nonfiction and is best known for his historical novels, including The Work and the Glory series, Fire of the Covenant, The Kingdom and the Crown series, and The Undaunted. He and his late wife, Lynn, are the parents of seven children.